For decades, families had little choice but to use kerosene. Now they’re swapping solar electricity. 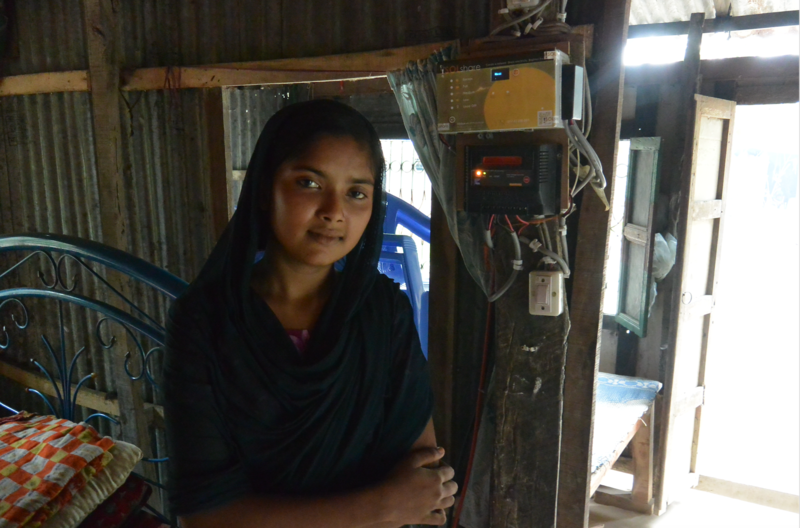 Ten households in Shakimali Matborkandi, a village in the Shariatpur district of Bangladesh, have seen a dramatic change over the past year in the way they light their homes and charge their mobile phones. For decades, these families had little choice but to use kerosene, the most popular fuel in tens of millions of homes in the developing world. But in September 2015, a Bangladeshi company, ME SOLshare, introduced them to what it calls “swarm electrification”. In a fresh twist on the sharing economy popularized by Uber and Airbnb, ME SOLshare’s pilot project enables the residents of Shakimali Matborkandi to trade electricity among themselves, free of any contact with a local utility. 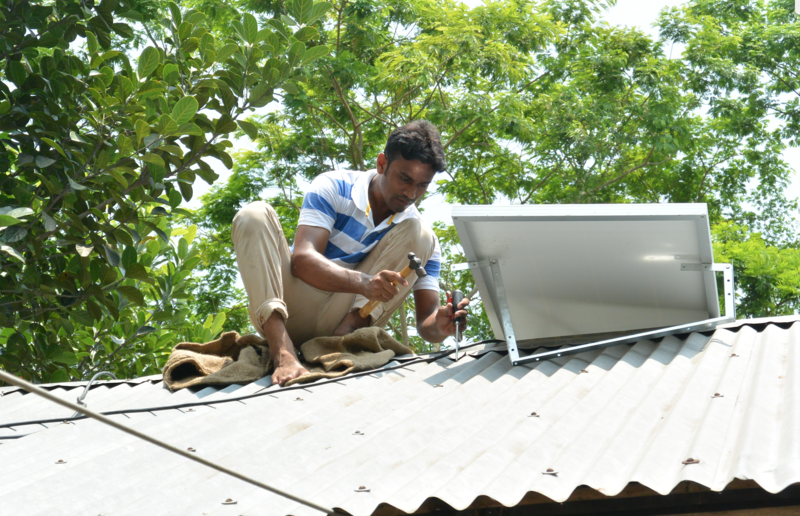 More than four million homes in Bangladesh are already equipped with solar panels. But, starting with the Shakimali Matborkandi pilot project, ME SOLshare aims to go a step further. With the help of a black box called a SOLbox and a mobile phone connected to the largest mobile banking network in the country called bKash, each family can buy solar electricity from their neighbours when they need it, and sell when they have a surplus. If anyone on the grid needs electricity, they add credit to their mobile wallet, switch their SOLbox to ‘buy’ mode, and trade the credit for power. Similarly, those who have excess power, or simply want to make some extra money, set the box to ‘sell’ mode. They can then use the credit on their mobile wallet to buy products at any local store. This system, known as peer-to-peer electricity trading on a nanogrid, is already making inroads in some industrial countries, such as the Netherlands, New Zealand, Germany and the US. But its introduction to Bangladesh could revolutionize the use of electricity in impoverished and remote communities that up to now have never known any source of power apart from kerosene and batteries. What’s more, in countries prone to armed conflict and natural disasters, such as Bangladesh, where floods affected 3.2 million people and damaged over 250,000 homes this past summer, swarm electrification can keep the lights on even if there is extensive damage to the utility power grid. Sebastian Groh, ME SOLshare’s managing director, said in an interview that the technology inspires a new way of thinking. “It inspires entrepreneurship. You are not just focused on your needs.” He added that “people are encouraged to use energy efficient appliances and the latest LED lights to reduce consumption” so that they can sell surplus power to their neighbors. He added that for the same cost as kerosene, the SOLbox enables consumers to have access to bright, clean lighting, and they can also charge their mobile devices. 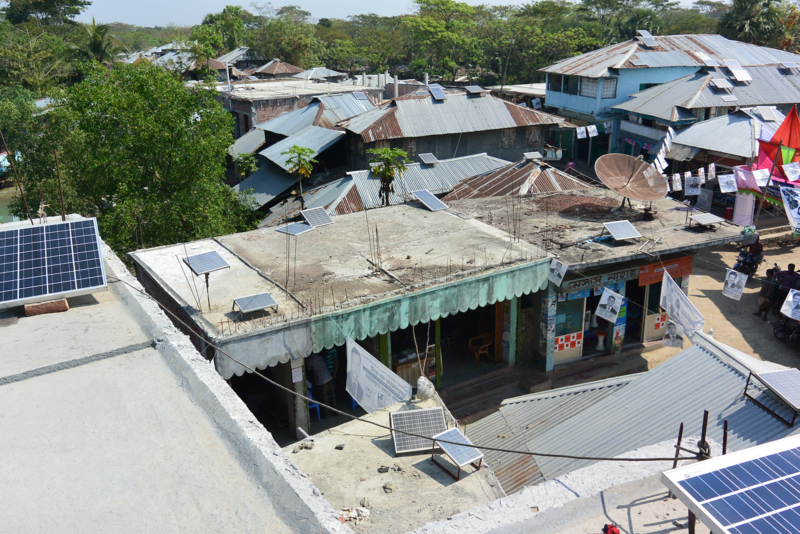 In Bangladesh, about 20,000 new solar systems are installed each month. According to Groh, ME SOLshare plans to install another 200 SOLboxes by February 2017. The potential of swarm electricity extends far beyond Bangladesh. According to the International Renewable Energy Agency (IRENA), more than 6 million solar home systems are in operation worldwide, and their cost has dropped by over 80 percent since 2010. As prices continue to drop, the number of solar home systems will continue to rise, with the Climate Change Group estimating that five million solar homesystems will be sold in India alone between 2014 and 2018. The challenge that the technology faces in reaching this wider market will be in finding the right sites. For efficiency reasons, the nanogrid uses direct current as opposed to alternating current, which means the lines carrying the electricity cannot extend far without significant energy loss. Only areas with high population density are candidates for this technology. Bangladesh makes a perfect guinea pig with a population of over 160 million people squeezed into an area roughly the size of New York state.